An allergy is the body’s overreaction to a normally harmless substance, whereas an intolerance is the immune system’s response to specific proteins in food. Allergies differ from intolerances in a number of key ways: allergies can be triggered by just a minute particle of the allergen; allergy symptoms appear within a very short time of exposure and they can lead to fatality if not treated. Muriel Simmons believes NHS allergy services are inadequate: “There is a dreadful shortage of allergy specialists and clinics. People are not able to obtain a proper diagnosis or be provided with the correct treatment due to the lack of training for GPs and dedicated clinics at primary care level.” Because there are only a limited number of NHS allergy clinics, waiting lists tend to be long, so people have to research their symptoms to identify what they are allergic to. With this in mind, Nutri Centre recently launched a food intolerance service developed with Allergy UK. The service offers customers a chance to talk about their symptoms and use a food diary to identify possible problem foods. The natural products industry is perfectly positioned to meet the rise in demand for allergy products as people are increasingly looking for natural solutions, but Viridian’s Cheryl Thallon warns that supplement manufacturers need to be wary of using additives in their products, including commonly-used lubricants and colourants such as magnesium stearate and titanium dioxide, as there is a rising customer base who want to avoid these manufacturing aids. With this in mind, sales of Viridian’s allergy supplements and topical balms increased by around 12 per cent in the past 12 months. Nutritionist Tim Gaunt from Nature’s Aid says that a lot of people are taking probiotics as a primary step towards boosting the immune system as far as allergies are concerned. Probiotics can lessen allergic responses by providing good bacteria in the gut to control the harmful bacteria and fungi which can damage the intestinal wall and allow potential allergens to be absorbed. “Other things like essential fatty acids are useful as they also cut down on the inflammation. Also beta glucans, vitamin C, bilberry and elderberry are particularly useful for boosting the immune system,” he adds. An anaphylactic reaction is a severe response to an allergen that can lead to swelling of the mouth and throat, severe wheezing, and death. The most common food causes include peanuts, nuts, fish, shellfish, milk and eggs. Between 1990-2004, hospital admissions for anaphylaxis rose by 700 per cent to 3.6 per 100,000 people. Natural skincare products are becoming more popular due to the rise in skin sensitivities. “More and more women are finding their usual brands are causing intolerance and allergy,” says James Sutton, founder of Butterflies Healthcare which produces NATorigin, the only cosmetics/skincare range approved by Allergy UK. Due to the growing demand for natural skincare products, Berriedale-Johnson has launched the FreeFrom Skin Care Awards. “There are an increasing number of people who suffer from allergies/intolerances, often to both food and to chemicals and processed ingredients, and a need for products which exclude those ingredients. We wanted to encourage, reward and celebrate those companies making such products.” NATorigin is sponsoring the Body and Hair Care category at the awards, which will be announced in May. With food allergies still on the increase, retailers can remain confident about their free-from offerings with demand rising for free-from foods, especially gluten-free. So is there room for gluten-free natural skincare on the shelves too? 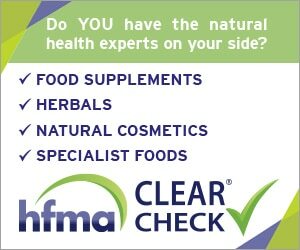 Alex Gazzola, journalist and author of Coeliac Disease: What You Need To Know, says there are plenty of anecdotal reports of adverse reactions, but it’s generally thought there is no risk unless products get into the mouth or an open sore, making lipsticks and lip balms the biggest risk. Ingredients in skincare in which gluten proteins may lurk include wheat amino acids and hydrolyzed wheat protein. “Ultimately, where you draw the line remains a personal decision based on your sensitivity and experience,” says Alex. Although further research is needed into this issue, the German Coeliac Society has already set standards for gluten-free cosmetics. According to Allergy UK, 12 million people are ‘allergic’ to their own home, with the chemicals in cleaning products affecting over 30 per cent of allergy sufferers, with 58 per cent citing dust, 55 per cent mould and 45 per cent pets as their trigger. The UK has one of the highest rates of asthma, with 5.4 million people receiving medical treatment for the condition. Over half of people with asthma also have hay fever. Research is currently underway in Manchester and London to see if vitamin D supplements during pregnancy can help lower the risk of a child developing asthma. Hay fever tops the nation’s allergic conditions, with about a fifth of the population thought to be affected. Grass is the most common cause, affecting 95 per cent of sufferers. The prevalence of hay fever is increasing by around one per cent annually. In 2009, hay fever remedies made up the greatest share of the allergy remedies market, at an estimated 77 per cent of retail value sales. Although the peak season for hay fever is normally from May to July, airborne allergens are present all year round and pollen seasons are starting earlier and lasting longer as a result of climate changes. Max Wiseberg, founder and managing director of HayMax, believes there will be an increase in natural hay fever products in future because people don’t want to take antihistamines. Tim Gaunt recommends quercetin for hayfever as it possesses natural antihistamine properties. It is a non-drowsy solution too, because it doesn’t block histamine altogether, it simply reduces the amount to a ‘normal’ level. 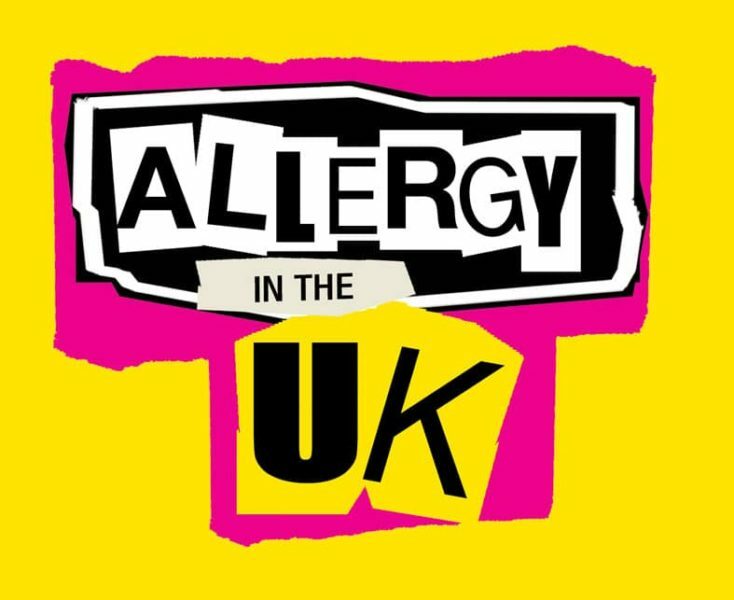 National Allergy week is taking place from 23-29 April 2012 and Indoor Allergy Week from 12-18 November. If you would like to get involved call 01322619898 or visit www.allergyuk.org. 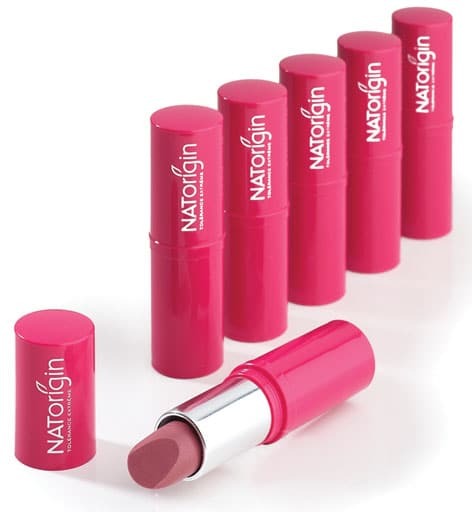 For sensitive skin, NATorigin’s skincare range contains organic arctic raspberry seed oil and cellular extract of red seaweed for anti-oxidant, anti-inflammatory and cell-stimulating properties. The company is launching some new eye contour creams this year and its Regenerating Lifting Serum is suitable for sensitive skin. Skin Salvation from Purepotions is suitable for those prone to eczema and psoriasis and contains olive fruit oil, hemp seed oil, tinctures of nettle, chickweed and calendula. Salcura’s DermaSpray Intensive is a liquid spray so it doesn’t need to be rubbed in – a real plus for sensitive skin. Natural hair care is also on the rise, with an increase in allergic reactions to hair dye and scalp sensitivities. Green People Intensive Repair Shampoo and Conditioner is designed for damaged, colour-treated hair, and Weleda Rosemary Hair Lotion is especially good for men with scalp problems – with nourishing rosemary and healing essential oils. In time for the start of hay fever season, Sinose from Salcura is being launched through Tree of Life. The chemical-free product stands out as it can be used during pregnancy and breastfeeding. HayMax relieves hay fever by trapping airborne allergens – pollen, house dust mites and animal dander – before they go in to the nose. 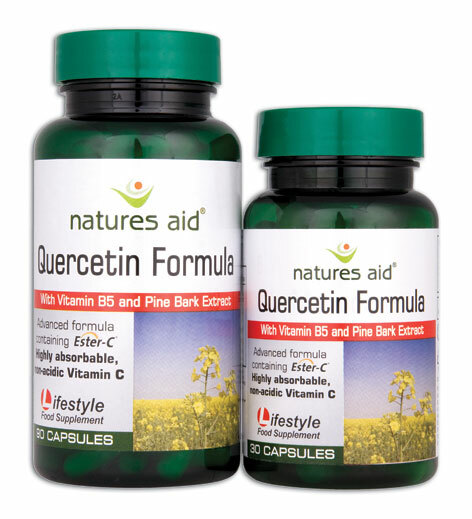 Natures Aid’s Quercetin Formula includes vitamin B5 to provide adrenal support, liquorice to soothe irritated mucous membrane, pine bark extract to ease inflammation, and vitamin C which has a natural antihistamine action. Ecoegg is launching two new versions of the Ecoegg in Spring Blossom and Soft Cotton fragrances along with Ecoegg Dryer Eggs which reduce drying time by up to 28 per cent, and the Ecoegg Eco Stain Remover. Other chemical-free household products include the E-Cloth System from Enviroproducts, and cloths and floor mops from No More Chemicals. 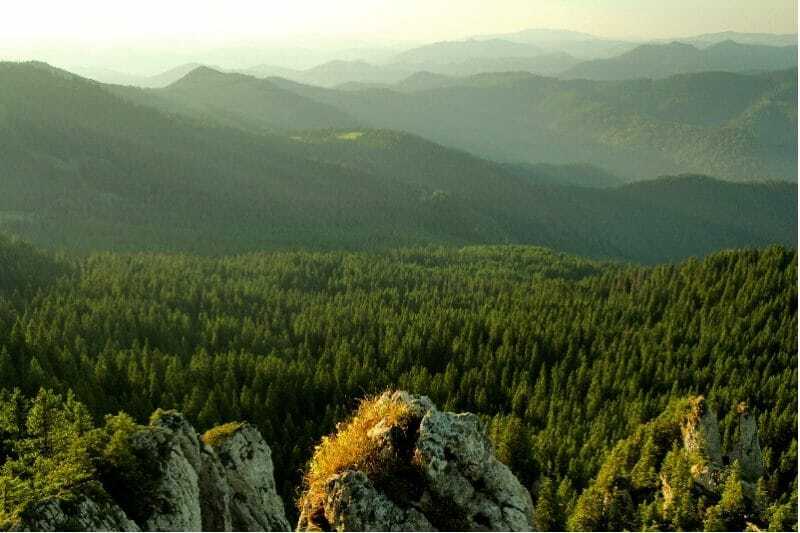 Products to support immune health include HealthAid’s AllerGForte with quercetin, bromelain and pine bark, and Betaimune which contains pine bark, resveratrol, mixed carotenoids and mixed berries. Nature’s Aid Ester-C and Immune Support + with Beta Glucans are also popular immune-boosters. 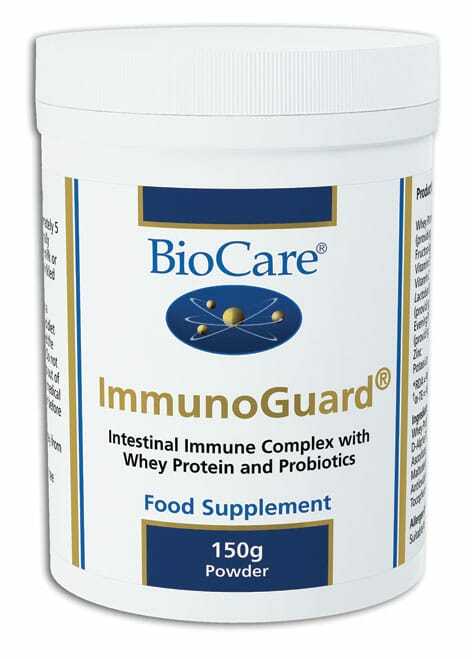 ImmunoGuard® digestive health support from BioCare® is an intestinal immune complex in powder form. It contains the probiotic Lactobaccilus salivarius, whey protein and other nutrients to nourish and encourage a healthy immune system within the intestine. At birth, immune factors and various nutrients such as GLA, zinc and potassium are supplied to the infant via human breast milk. These nutrients, together with friendly bacteria, are essential in helping the immature intestinal tract develop and maintain a healthy overall micro-ecological balance. ImmunoGuard® is a useful adjunct to any digestive health programme and is suitable to be taken while breastfeeding. RRP £24.15 for 150g. Launched last year, these 100% natural, certified organic lipsticks have been creating a real storm winning a Janey Lee Grace Platinum Award. They are formulated with orchid extract to give an extremely soft and smooth texture. Rich in organic waxes (carnauba wax, candelilla wax, beeswax), organic shea butter and organic oils (sweet almond, jojoba seed, sunflower seed, marula seed, castor seed) to both moisturise and protect the lips, keeping them soft and supple. Along with the rest of the NATorigin range they are the only cosmetics approved by Allergy UK making them the first choice for sensitive skin. 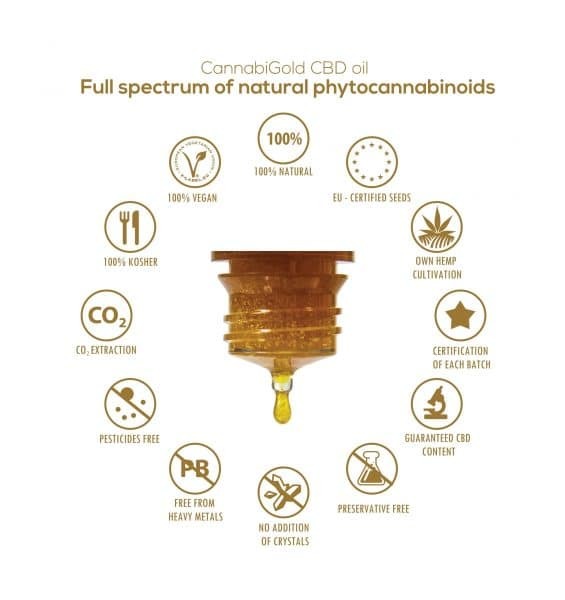 Our natural and award-winning solution has been developed by natural health experts and is recommended by dermatologists, doctors and natural health professionals. 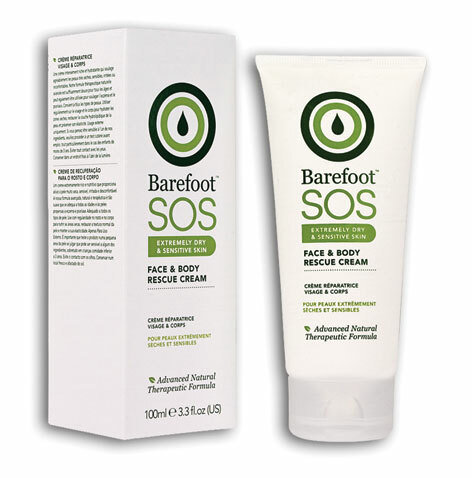 With its Advanced Natural Therapeutic Formula, SOS Face & Body Rescue Cream is a proven alternative to paraffin-based emollients for sufferers of dry, irritated and uncomfortable skin. This intensively rich and nourishing cream is suitable for all ages and for those who may be prone to eczema and psoriasis. Available in a variety of sizes: 25ml trial size for £5.95, 50ml for £10.50 and 100ml for £18.00. 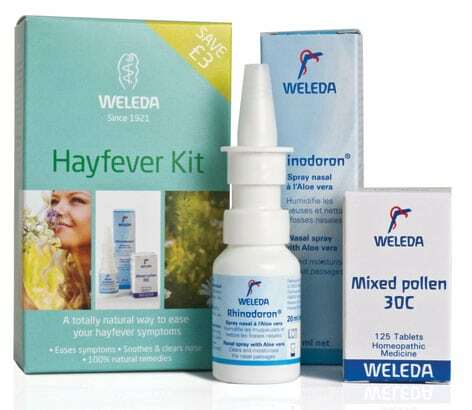 Weleda have a range of natural remedies to help allergies and hayfever, and their holistic Hayfever Kit brings together two popular solutions, as a totally natural way to ease symptoms. Soothing Rhinodoron Nasal Spray (rrp £6.50 20ml) is designed to clear nasal passages, calming irritation along the way. The saline solution contains moisturising organic aloe vera. Weleda’s homeopathic Mixed Pollen 30 tablets (rrp £6.95 125 tablets) contain a mixture of plant pollens most commonly known to trigger hayfever. A special offer of £10.45 for the duo pack saves customers £3 on the usual retail price, yielding a POR of 33%. Allergies are versatile. They can show up just about anywhere in your body and create an incredible variety of symptoms. This often leads to physical and emotional distress. Allergforte contains natural antioxidants antihistamines and anti-inflammatories that can help with the symptoms of allergies, its unique formulation containing natural essential ingredients such as Vitamin C, Quercetin and Bromelain, helps to combat the misery of common allergies and make the condition more bearable. 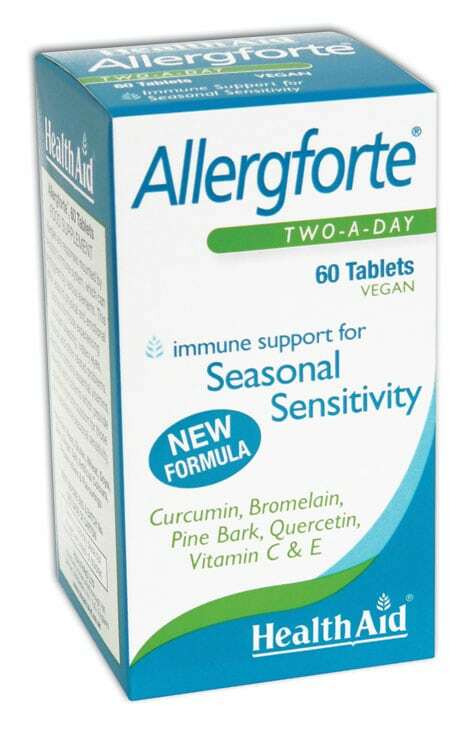 Allergyforte is suitable for vegans and vegetarians. Allergforte, retails at £9.99 for 60 tablets. Whether the irritant allergen is pollen, dust mites, UV, heat or pet hair, the body releases histamine, which leads to the familiar itching, sneezing, wheezing and watery eyes. 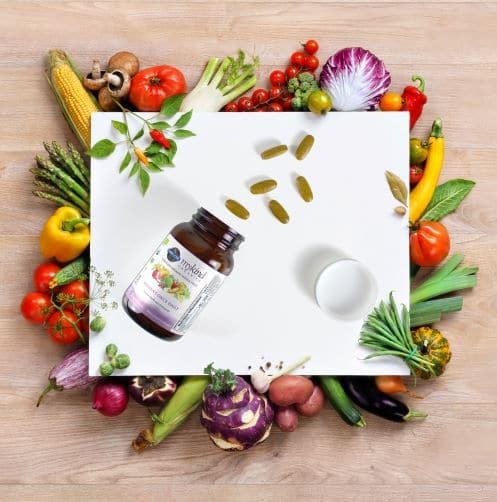 Quercetin Formula with Vitamin C and Pine Bark extract stabilize the mast cells, damping down the release of histamine. MSM, Vitamin B5 and liquorice thin mucous and improve lung function and have complimentary effects on the adrenals and liver. This provides an extra layer of support by calming the immune response, reducing the effect of daily stress and speeding up the elimination of histamine from the body. For a comprehensive approach to the misery of allergic symptoms. Natures Aid Quercetin Formula is available in 30 and 90 Vegetarian Capsules RSP £5.95 and £14.95 respectively. Heath & Heather, Pasture Road, Moreton, Wirral, Merseyside, CH46 8XF. At Heath & Heather we have been creating excellent infusions since 1920, selecting only the finest natural ingredients that are free from artificial colours and flavours. We work in association with the National Institute of Herbalists ensuring that our infusions deliver the very best to support a healthy lifestyle. 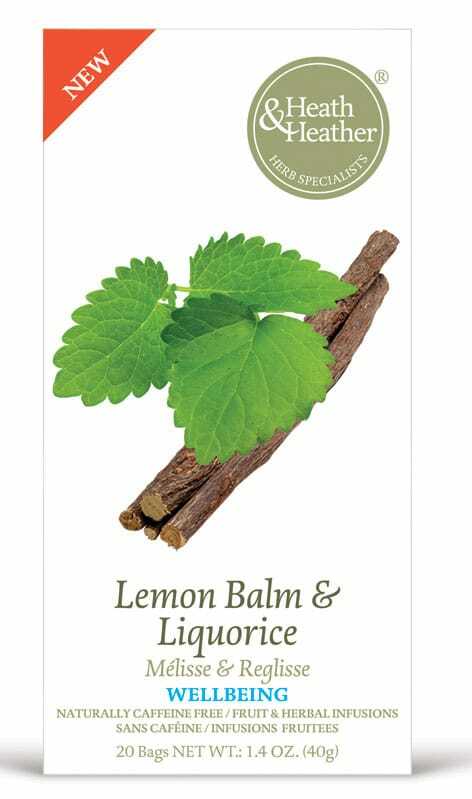 Our new Lemon Balm & Liquorice is a soothing infusion which expertly combines Lemon Balm Leaves, Liquorice Root, Camomile and Rooibos providing a calming infusion that can be enjoyed at any time of the day or night. Try using as a compress to relieve skin inflammation. Use the lukewarm bags to apply to the affected area. 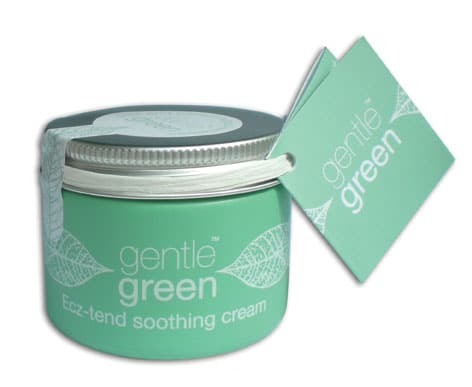 Ecz-tend Soothing cream provides effective Natural relief for sensitive, dry and allergy prone skin. A highly nourishing all-over moisturiser of uncompromising quality suitable for all ages. 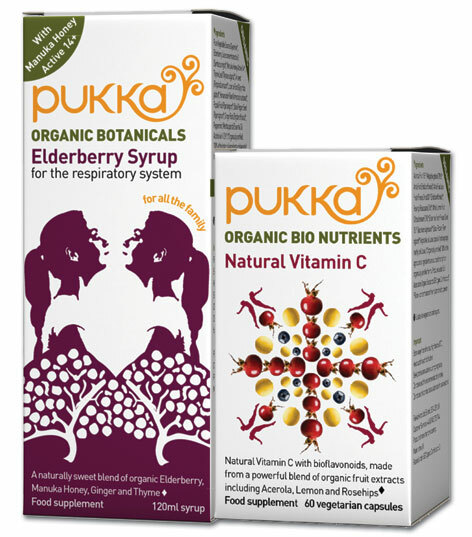 Pukka’s Elderberry Syrup is an incredible blend of organic elderberry, manuka honey, ginger and thyme to support the respiratory system. 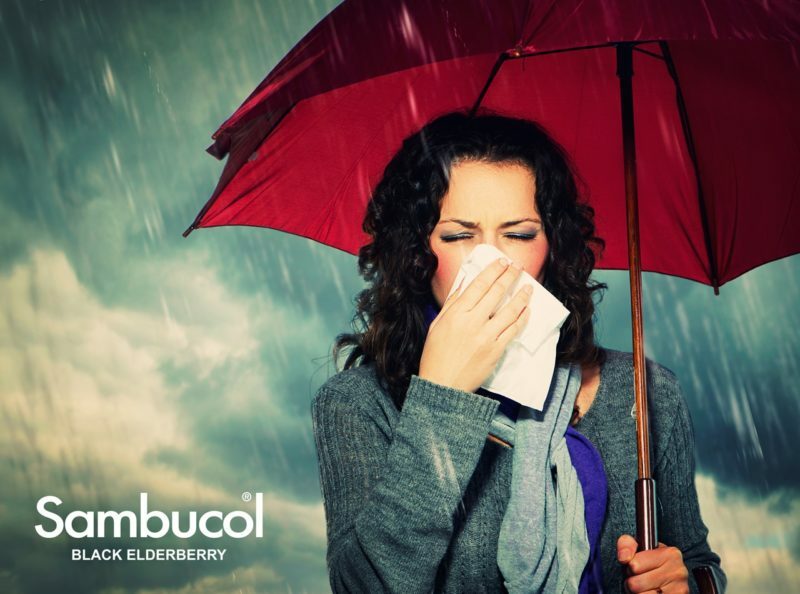 Free from synthetic ingredients, Elderberry Syrup gently clears mucus and catarrh from the respiratory tract and sinuses. With active manuka honey 14+, this naturally sweet syrup soothes sore and irritated mucous membranes to ease both dry and productive coughs. Partner with Natural Vitamin C to ward off any lingering winter chills. 100% naturally derived, Pukka’s Natural Vitamin C delivers high levels of absorption and stays in the blood for up to 12 hours, far longer than processed vitamin C products.